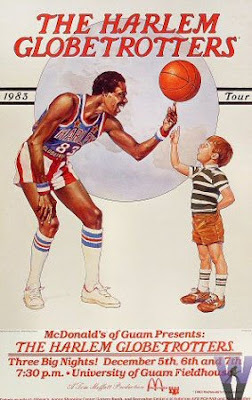 I've always enjoyed the Harlem Globetrotters but am pretty disturbed to have recently discovered that both Bob Hope and Henry Kissinger were honorary members. When I was a kid, my dad took me to see them at Maple Leaf Gardens in Toronto. It was loads of fun.